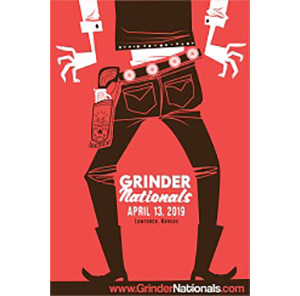 Editor’s Note; From time to time we have done the “Quick Review” , detailing a product and giving our take on its use in one fell swoop, instead of our usual three month/three post format. In this post, we have three items which don’t really need the level of detail we generally give a “Quick Review”. So we bundled these three things into a single article. Enjoy! 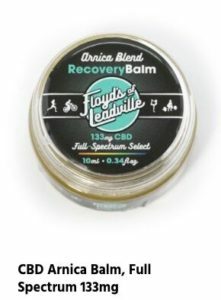 Floyd’s of Leadville Products: A while back I was sent some samples of CBD based balms from Floyds of Leadville, that Floyd being the one and only Floyd Landis, ex-pro roadie from the Lance era. CBD is all the rage right now and the science and practical testimonies seem to point to somethin’ goin’ on ‘round here regarding the effectiveness of CBD and it’s effects on our bodies, both as athletes and as human beings. You can read more about that here or just Google it, but it is interesting. The two samples I received were small (133mg) jars of the Warming Balm and the Arnica Balm. The Arnica I gave to my son to try. It is intended to reduce pain and inflammation (among other things), such as joints, etc, but I really do not have any chronic issues like that. He does. Many years of martial arts and continued sports of one kind or another, like bouldering, have left him with some painful joints in his hands, something he notices when in the gym, etc. 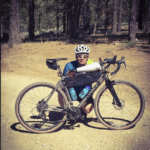 He used the entire container over time and found it to reduce the swelling and sensitivity, making workouts and daily chores a happier prospect. In that, I would say it does what it says it does. Interesting and better than ibuprofen. I played around with the warming balm and could not come to any conclusions either way. It reminds me of that old balm, Icy Hot. It tingles and feels nice, but in the end, does not seem to really do much. Dunno. Maybe I am immune or clueless. Your choice. These products and their ilk seem like something one has to try for themselves as to the efficacy for the individual. In that, and over the two samples I was able to play with, I would say it is 50/50. The Arnica Balm seems to be a valid deal with consistent and reasonable results, at least in my son’s case. Prices vary with sizing, so check the website for all the details. Silca Ypsilon Tool: $74.00 MSRP- I have had pretty good success with Silca products recently. The Premio tire levers are wizards for tight fitting road tubeless and delicate sealing tape combos. The Phone Wallet was actually very nice, but not quite right for my needs, but then I ended up with a Borsa Americano and that has been practically perfect for me. The Silca Ypsilon tool is impressive looking. So the Ypsilon Travel tri-wrench with swappable bits was something I was expecting to like very much, but that has not been the case. First off, let me say that it is beautiful to look at and it feels…as much as a simple three way wrench can…it feels like a quality piece of work. The bits and the 4mm and 5mm fixed Allen keys are some of most precise fitting tool ends of their kind I have used. But that has not been enough to get me to like this. I have a well worn Park tri-wrench in my toolbox that is, well…I don’t know how old it is. It does not fit as tight as it used to and it is not purty to look at, but it is a soldier in the tool world. The Silca Ypsilon is heavy and just feels awkward to use. A tool should fall easy to the hand. I can take that Park version and on something like a stem face plate bolt, spin the Y wrench in my fingers. The Ypsilon makes that difficult with the weight and the handling being just kind of wonky. When you use one of the swappable bits, there is very little extension so the bit loses a lot of reach. And frankly, if I am using something tiny and torque sensitive like a 1.5mm hex or smaller Torx, I really do not want all that much leverage behind it. A standard Spintite tool handle would suffice. So, for me, the Ypsilon is a miss. It is lovely to look at and adds prestige to my tool collection, but it sits on the bench while my old Park tool gets all the game time. Many months ago a product showed up out of the blue with this odd name on the package. Milkit? Hmm… Home cow milking kit? No….too small a box. Maybe a goat milking kit? But no….. It was a metal bottle about the size of a water bottle and it came with a bright blue head piece on it. 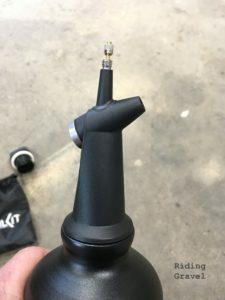 Looking at the literature that came with the kit, it told me that this device allowed you to pre-charge athe bottle with air from a floor pump, and the dump all that air rapidly into your valve stem, facillitating bead seating for a tubeless tire. Well, I’ll be! I set it aside for a bit and then the bad news came out about a recall on the head piece and that was that. Too bad too, because it was an intriguing idea. Recently I was sent another head piece, in black now, so you can tell the new ones from the old blue ones which were recalled. It hit my doorstep when I was busy doing anything but messing with tires and whatnot. So I didn’t get to it until last week. By that time I had some new tires to try and it came to me that it was a perfect job for the Milkit kit. The kit consists of an aluminum bottle. The kind with a screw on cap, so you could use it as a water bottle. The cap comes with the kit, and it has that bit which allows a carabiner to clip on to it, so you can use it for that purpose. Although, I’ll bet that once it has banged around the tool garage a bit you may not go for that added feature. But still, the option is there. Charging the Milkit Booster bottle with a floor pump. The head piece has a standard presta valve that you attach to your floor pump and with the head piece securely screwed on to the aluminum bottle, you can pressurize the bottle up to 150psi. 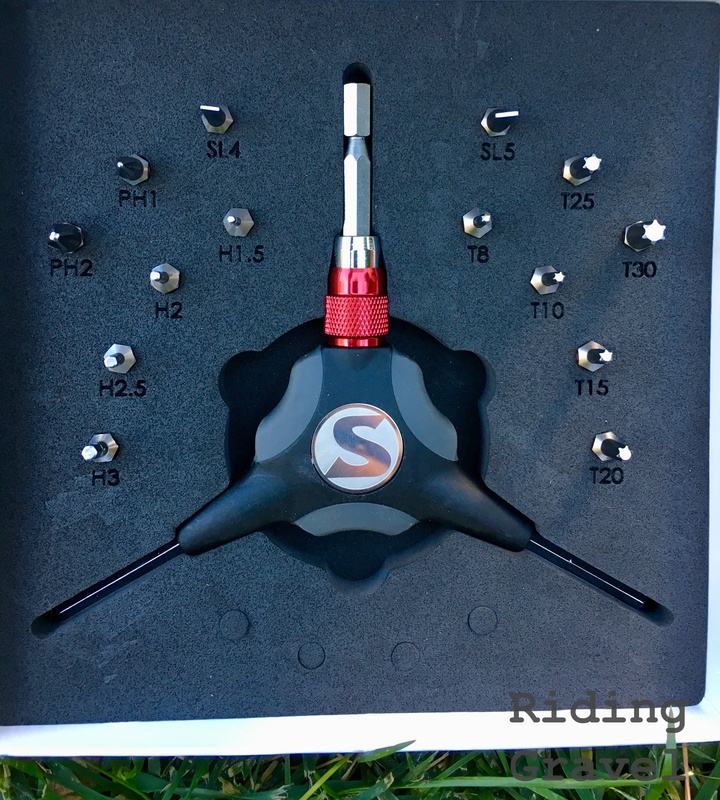 Then, there is a second port on the head piece that you can press on to your Presta valve on your wheel. It is recommended that you pull the valve core from your valve first for maximum air flow. 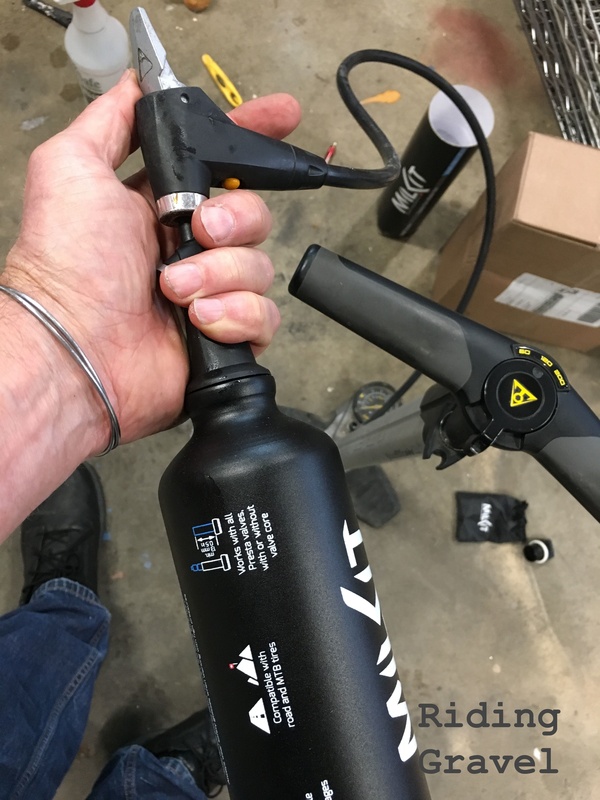 Firmly pressing together the head piece on your Presta valve allows the contents of the bottle to be dumped “right now” into the tubeless tire, helping to “catch” the tire onto the rim bead seat. At least, that is the idea behind it. Frankly, I was skeptical. The tire and rim combo I was working with was being difficult. The tape was not new and there were divots into the spoke hole drillings from air pressure pushing the tape in over time . This leads to a loss of an air seal and may make the first “bump” of the tire bead to rim bead seat difficult to do with a floor pump. I did not expect the combo of tire and rim to be impossible as they were a proven combo, but this would require my air compressor now…..or would it? So after a few tries with the valve core pulled and the floor pump on max air flow, I could not get the tire to that initial take. 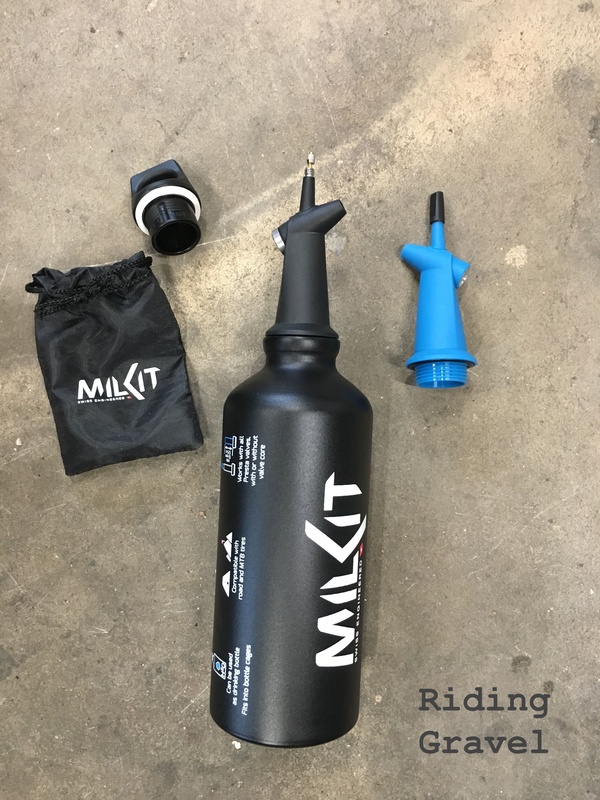 I charged the Milkit Booster to 125psi and did the deed, dumping it into the tubeless set up. WHOOSH!!!! …and voila…the tire was 50% seated on the rim and was good enough to let me remove the bottle, put my finger over the presta valve on the rim, then pop my pump on there and finish the bead setting. Huh…. So, I wondered if I could get it to set completely with just the Booster bottle. I let the tire go flat, then broke the beads, and fully unseated the tire. This time I tried 140 psi in the Booster bottle. More whoosh and more bead set, but not quite all of it. Let’s say 80% of the tire was seated on the rim correctly. But that was just fine, actually and I easily completed the set up with a floor pump. “I’ll be jiggered!” Darned if the thing doesn’t work. Now this was on a 650B X 47mm tire, so on a road tire or smaller gravel tire, it would be more effective, I would think. That’s because less volume in the tire would seem to mean more pressure left in the bottle to keep on pushing as less air will be needed to fill the tire. I could be wrong. I am no engineer, but I did sleep in a Holiday Inn last night. The Milkit Booster bottle now sits in the tubeless tire bucket where the stuff I need to make it all happen is stored: Orange Seal, some dispenser cups, a squeeze bottle with vinyl hose, a core remover, and a spray bottle of soapy water. Welcome to the bucket my useful little friend! 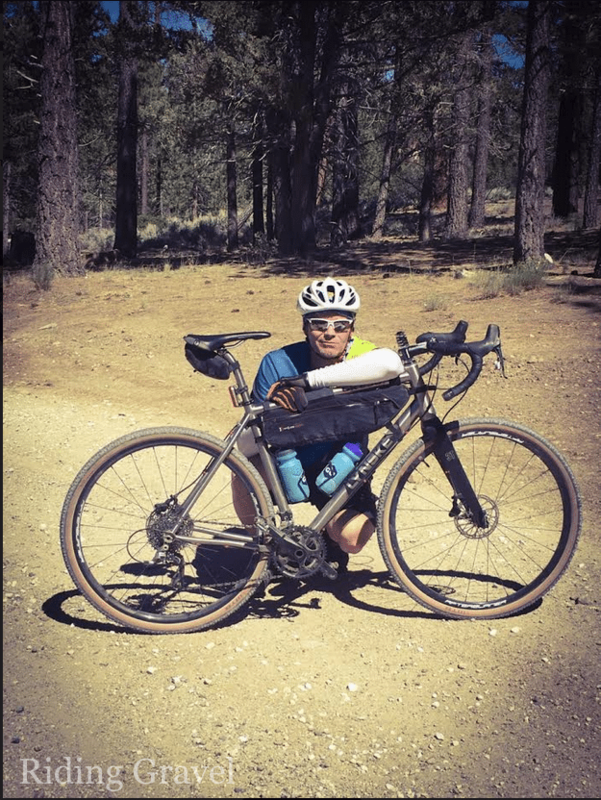 Note- All items in this post were sent to RidingGravel.com by their respective manufacturers at no charge for test and review. We were not paid nor bribed for this review and we strive to give our honest thoughts and opinions throughout. a bit strange when you mention max pressure 250 psi when it states on bottle max pressure 160 psi..
@Andis…Ooooo…good catch. That is what happens when you service your Reverb dropper post and mount some tires on the same day. We will correct, but it was more like 120psi the first time and 140psi the second time.